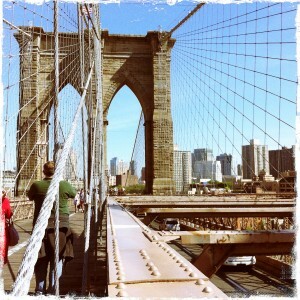 Last weekend was perhaps the most beautiful couple of days I’ve ever experienced in New York. The weather was perfect, and we were actually able to get out and enjoy it. Our very full slate for the weekend included a tour of the old City Hall subway station, a show at City Center, and a game at Yankee Stadium. This week, however, I spent most of my time inside as I had a brand new experience. Jury duty! I spent a couple of days downtown in the criminal courts building and was eventually excused without ever having my name pulled out of the bingo cage. All of that sitting around gave me plenty of time for taking leisurely strolls around the internet. Here’s a bit of what caught my eye this week. I’ve had this recipe for Cashew Cookies with Browned Butter Frosting bookmarked for a while, and Jamie at My Baking Addiction baked them this week. Don’t they look amazing? Audra from The Baker Chick mentioned two words that always get my attention: salted caramel. 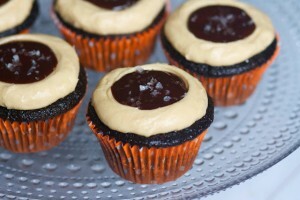 She made these Dark Chocolate Salted Caramel Cupcakes that amplified my always-present salted caramel craving. They remind me a bit of these cupcakes I made a while back. Sticking with chocolate, Emily at Sugar Plum made a variation of one of my favorite things – monkey bread. 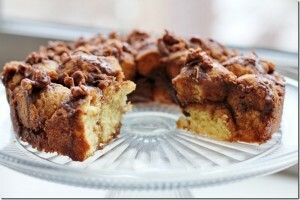 Her German Chocolate Monkey Bread looks incredible! I found this cake stand this week and was intrigued. 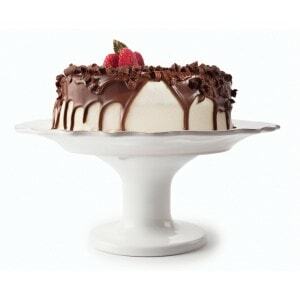 The idea is that any plate can fit on top of this stand, instantly creating a cake stand. Living in New York, storage space is always at a premium, making products like this quite valuable. I’m thinking that I will need one of these soon. I did find a little time to bake this week and finally got to use my Tovolo Easy Prep Quick Hand Mixer. 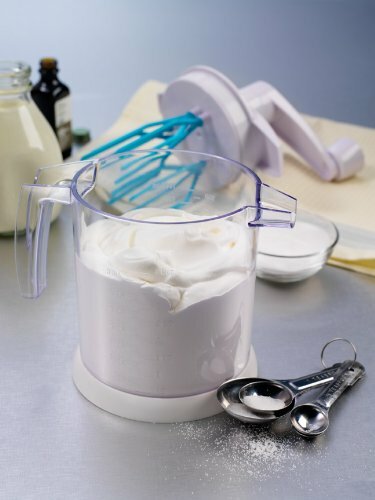 It makes whipped cream in quick fashion. Very quick. I was amazed. One last thing… If you remember, a few weeks ago, King Arthur Flour provided my lovely readers with a chance to win a fabulous giveaway. That giveaway has closed, but I find myself in possession of a spare copy of the cookbook that was a part of the giveaway package. So, I’m giving all of you a chance to win a copy of The King Arthur Flour Cookie Companion, one of my favorite cookbooks. UPDATE: Contest is now closed. Thanks for participating and congratulations to the winner! DMBLGIT October 2007 – Final Call! The Peanut Butter Mud Bars went over VERY well in my house and among my friends, plus they were a cinch to make. Delicious AND easy? This recipe’s a fave! My favorite recipe on Bake or Break: the raspberry pecan blondies. I love blondies. My favorite is Brown Sugar Cashew Blondies 🙂 Yum! I’m following your “From Bake or Break” board on Pinterest and I’ve repinned your yummy-looking Snickerdoodle Bars. These are on my to-do list. I subscribe to Bake or Break via Google Reader. Chess Squares – easy and yummy! Love your black and white cupcakes! I have made the chocolate mascarpone brownies over and over to rave reviews! I’ve had your Butter Pecan Shortbread on my list of things to make for ages now! I mentioned it on my very first Whilst I’m Not Cooking post! I love King Arthur Flour recipes and I love cookies!!! This is a very enticing giveaway and I would be ecstatic to win! My favorite recipe on Break or Bake are the Brown Sugar Crinkles. Though, from the look of your “popular posts section”, I see I am not alone. I follow your NYC Eats board on Pinterest and just pinned the Brown Sugar Crinkles! I subscribe to your blog feed with google reader. I liked on facebook and shared my favorite recipe on my wall. My favorite is definitely the Cinnamon Cream Cheese Coffeecake. So good! I love your cheesecake brownies-they are my Husband’s favorite too! I subscribe to RSS feed. those snickerdoodle bars! my mom’s new favorite! I pinned your Lemon Blueberry Cheesecake Bars on Pinterest. My favorite is the Peanut Butter Cup Blondies. Yum! I made them for my coworkers – they were a happy bunch! I love the snikerdoodle bars. Anything with cinnamon! I liked bake or break on facebook. The trail mix bars were awesome! The Coconut Blond Brownies are wonderful. It’s one of the recipes you go to again and again.!!!!! The Supernatural Brownies are delicious! I Love all your coffee cakes!! Brown Sugar Cashew Brownies. Think I’ll make them this weekend! I’m following you on Pintrest and I’ve pinned several of your recipes to my baking board. 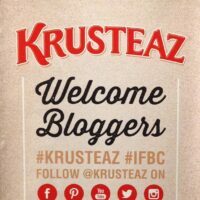 I follow your blog by email! 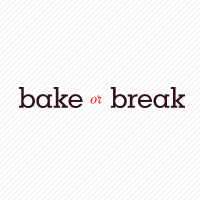 I liked bake or break on facebook…. I’ve made several of your recipes. I think the delicious salted caramel cheesecake recipe I’ve made a couple of times came from you. I’d have to look at my recipe book to see. I also site the source when I copy a recipe into my book. Oatmeal chocolate chip cake is outstanding! I liked BoB on Facebook and am already subscribed by email. Love this Peanut Butter Chocolate Chip Cake, too! I love the cinnamon cream cheese coffeecake, and the marscapone brownies, but all the recipes I have saved are wonderful. I follow this blog by email and love all the posts. Thanks for the chance to win this book. Cinnamon cream cheese coffee cake. I am a softie for that kind of cake. It reminds me of my childhood on Long Island, when there were tons of bakeries. I just began following you on Pinterest (My pin is bakingandboys). 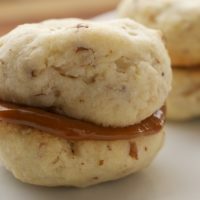 I pinned those new dulce de leche sandwich cookies you just posted. Love everything about them! I receive your emails and love your recipes! Okay, I signed up for your emails – this was just the impetus to get me to do it! And I think your new recipe for shortbread/pecan cookies with dulce de leche looks fabulous. That’ll be next for me. Ah, my favorite recipe of all time has to be your pecan pie cupcakes. Having made countless batches for all occasions and including them in the Christmas cookie tins I confess to turning many into addicts. Favorite recipe thus far, or one that comes to mind, is the pear and chocolate crumble. I love pear and chocolate together and I love a good crumble. It was the best of all worlds. We make them all the time changing up what we add in them. Love ’em. We loved the lemon bars! My favorite is Peanut Butter Chocolate Chip Cake. I subscribe to Bake or Break’s RSS feed. I subscribe to Bake or Break by RSS feed. My favorite recipe is the brown sugar cashew blondies. One of my favourite recipes would have to be your Brown Sugar Cashew Blondies – so good! Blueberry Jamboree recipe brings me so many good memories of years long past. DOUBLE DARK CHOCOLATE CHERRY COOKIES! The Chocolate layer cake with cream cheese frosting. The Peanut Butter Candy Bar Squares were da Bomb! My favorite recipe is Cherry Oatmeal Bars, scrumptious! I am a happy subscriber of your blog! 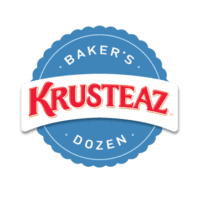 I like Bake or Break on Facebook and shared my favorite Bake or Break post on Facebook. I follow you on Twitter and shared my favorite Bake or Break post on Twitter. I follow some of your boards on Pinterest and pin my favorite Bake or Break post on Pinterest. I subscribe to Bake or Break’s email updates. It is a tie between the Cherry Oatmeal Bars and the vanilla bean cheesecake bars. I am a subscriber via Rss Reader feed. I am a subscribe via Rss Reader feed. i love the salted cashew crunch cookies! 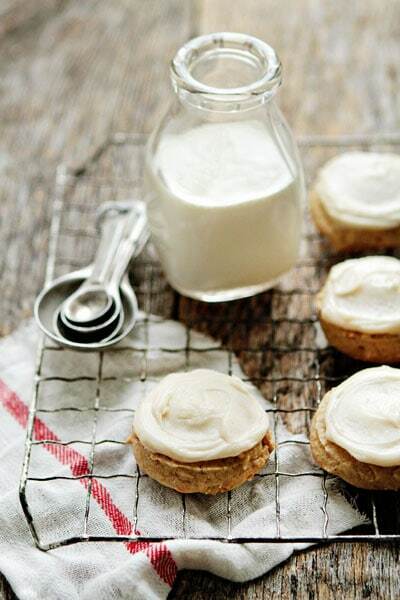 I absolutely loooove your cinnamon sugar cookie squares. Amazing! Thanks for all the great recipes you have posted! I love your Chocolate Monkey Bread ! So different but still delicious ! I just found your site so don’t have a favorite recipe yet but after skimming through a few of the recipes the Jalapeno Focaccia sounds delightful. Mexican chocolate cupcakes with dulce de leche frosting. I’ve tried many of your recipes and this one takes the, er, cake. 🙂 The frosting is kind of stupid good and dead easy. Very dangerous! The Snickerdoodle Bars make my mouth water. I’d love to try them. The Raspberry Cream Cheese Buns are my favorite!!! I followed your “from bake or break” board and pinned the raspberry cream cheese bun post! My fave is the Italian Cream Cake. Yum. Love the site. I love the banana cake with cream cheese frosting!! My family always requests it when I come home from college. I pinned it on pinterest and I’ve gotten over 6,000 repins! I made the Blueberry Jamboree Bars last week and they were a hit! I have several of your cashew recipes bookmarked! I like you on FB and shared your post about Hummingbird cupcakes. Haha…couldn’t pick on board so I followed all on Pinterest. (Looks like I’m not getting much done today!!) Thanks for all of the chances. I once took his book out from the library and almost got my card confiscated because I was so late with the return! I made your recent recipe for the chocolate peanut butter cup cookies and they were a huge hit with my husband. He required 2 glasses of milk with his cookies 🙂 They were great. Thanks for all the wonderful recipes! Sweet and salty cake! It’s a perfect combination. Butterscotch Cream Cheese Swirl Bars! y favorite recipe would def have to be the caramel coconut pecan brownies. Like Bake or Break on Facebook. Liked Bake or Break on FB. Pear and chocolate crumble would have to be my fav. I love the Oatmeal Cream Pies! And I’d love to win the Cookie Companion! My favorite that I come back to repeatedly is your Pecan Pie Cheesecake! and… I subscribe to your RSS feed via Google Reader! (can you tell I’m a fan?) Ha ha! I love the peanut butter and jelly bars! 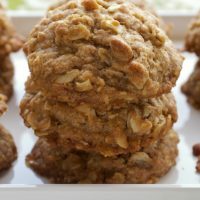 My favorite BoB recipe (so far) are your oatmeal chocolate chip cookies. My coworkers were huge fans as well!! I liked BoB on facebook! I started following a few of your boards on pinterest! I LOVE the Peanut Butter Brownies!!! They are to die for!! chocolate and caramel pecan bars. we have a forever kind of love affair. Right now it’s Caramel oatmeal bars! Follow you on Pinterest. It’s like an awesome little bakery. I need a box please! Tweeted about the PB brownies. I like to make things for people so I believe those will be my next bring to the office item! Yummy recipes in my inbox! Subscribed! Woot! Pinterest follower and pinned chocolate chip bundt cake. I couldn’t resist after reading someone’s comment that it’s better than chocolate chip cookies! Shared Snickerdoodle bars on Fb. <3!!! It's hard to go wrong with cinnamon and sugar… right? There are so many recipes here! How have I not found this place before? I think I’ll also be trying the chocolate monkey bread. I love cinnamon so its the Snickerdoodle Bars for me any time! My Favorite Bake or Break Recipe: Nutella Swirl Cheesecake bars! yuMmmm!! I’ve subscribed to your email. I love the baby pound cakes! Any kind of miniature desserts!